Here is the Missouri City DPS address, phone number and hours of operation. 7:30AM – 6:00PM M-Th, and 7:30AM – 5:00PM Fri.
1. What are the Missouri City DPS office hours? We have listed the hours above; however, we strongly recommend that you call ahead of your visit to make sure that the office is open. 2. What do I need to have with me when I go to the DPS office? If you’re renewing your drivers license, then you should complete a DL renewal form, and have your old license and your social. 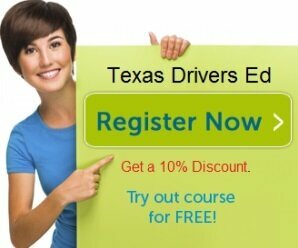 If you’re applying for an original Texas driver’s license, then make sure you’ve completed a drivers ed course prior to your application at the Missouri City DPS Office. If you are between the ages of 14-17, you can get 20% off the enrollment cost for internet drivers education by clicking here. 3. Can I get the applications/forms that I need at the Missouri City DPS office or should I have them prepared before I arrive? Definitely prepare them before you go — it will save you time and you won’t have to ask some stranger for a pencil! You can access the forms you need here, our website, by clicking here. 5. Is it true that the State of Texas has a “Proof of Residency” policy for people applying for an original drivers license? Indeed. Starting in April 2012, any Texas driver applying for an original driver license, commercial driver license or ID card is required to bring a minimum of 2 documents to verify his/her identity.